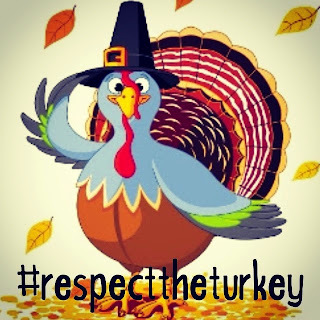 Have a great Thanksgiving everyone, and thanks again for the Respecting The Turkey! Hope you are enjoying a day of rest and thankfulness with your family, stuffing yourself full of stuffing and sitting on the couch watching football. Hopefully everyone has their turkeys thawing in the freezer, and people are making plans to celebrate a day to give thanks for they have. We all know black Friday is right after Thanksgiving where people jump right into the mad dash to buy things, and some retailers over the past few years have even been open for Thanksgiving shopping sales. Thankfully some stores have come out now to say that they will not be open for shopping, so their employees can spend the day at home with their families. TheBlackFriday.com has a good running list of stores that will be CLOSED on Thanskgiving Day. If you're going out Friday, support the stores that support a day of thanks before shopping! Nice article about remembering Thanksgiving over at BuzzFeed! Hey, remember that holiday a month after Halloween? It’s called Thanksgiving, and it’s important. Lots of funny pictures and comments over at the buzzfeed article, check it out! Monday, October 13th is Canada's day of Thanksgiving. Their Thanksgiving is very similar to ours, with big dinners and watching football on TV, just any day through the weekend. It falls on the same day as Columbus Day in the US. Writer Zoe Mintz of the IBTimes has a great write up of some of the differences between America's and Canada's Turkey Day. However, unlike American Thanksgiving, Canadians don't typically see the holiday as a kickoff event to Christmas shopping. Read the full article over at ibtimes: Canadian Thanksgiving 2014: 3 Ways The Holiday Differs From America’s Turkey Day. Hope you and your families have some wonderful meals, enjoy the company of loved ones, watch some parades and football on TV, and just generally RELAX and have a nice family holiday. Many of us will be sitting around a Thanksgiving table unbuttoning our pants because our bellies are so overfull with food. But there are many families that would go hungry on Thanksgiving, without the wonderful food bank charities that help provide meals for the needy. Gleaners Food Bank in Michigan distributes over 43 million pounds of food each year! Check out the Feeding America website to find your local food bank and help give someone a great Thanksgiving! so some people are calling it Thanksgivukkah! Want to dress up those nails for your fancy Thanksgiving dinner? Check out some great nail art over at Buzzfeed! 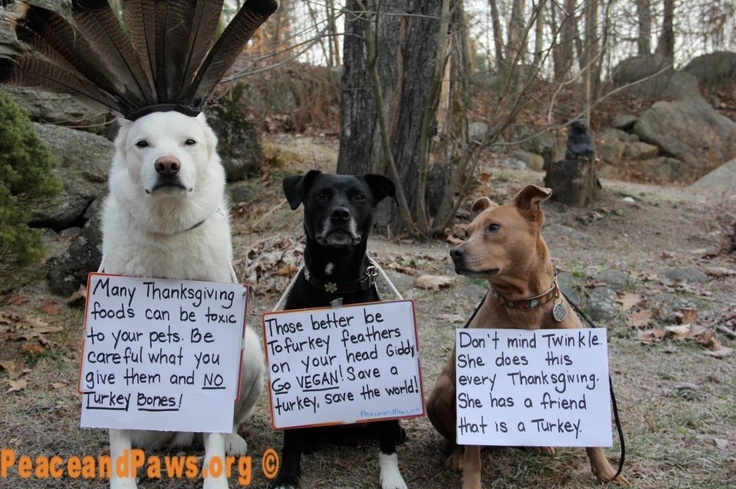 Our favorites are of course the ones with the turkeys! Another bird of a feather in the fight against the Christmas Creep taking over Thanksgiving, is the folks over at Take Back Thanksgiving. We believe that Thanksgiving has been overlooked in recent years. It’s becoming more and more common that Christmas decorations are on sale before the Halloween costumes even come off, that radio stations are starting to play Jingle Bells before the trick-or-treaters even have a chance to unwrap that first fun size candy bar. We think that’s a crock. Fight on fellow turkey warriors! Wow, apparently Thanksgiving is the season for some wild turkey photo shoots! Head over to Buzzfeed for all of them! That little smart phone in your pocket can be pretty hard to put down, even at the dinner table. But etiquette experts Diane Gottsman and Thomas P. Farley think that for Thanksgiving this year you should unplug those devices and enjoy the holiday meal! They're calling it Thanksgiving Unplugged. Thanks to some old laws called "blue laws", there will be no Christmas shopping on Thanksgiving in Massachusetts! The laws state that retailers can not be open and can not force people to work those days.